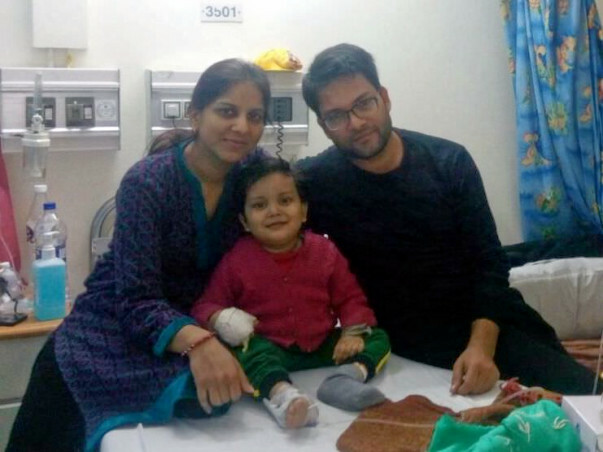 A few days back 3-year-old Tanishq, son of Sumit Garg, was diagnosed with a severe form of cancer called Lymphoblastic Leukemia. The only treatment for him is chemotherapy. The total cost of the treatment is around 8 lakh Rs. 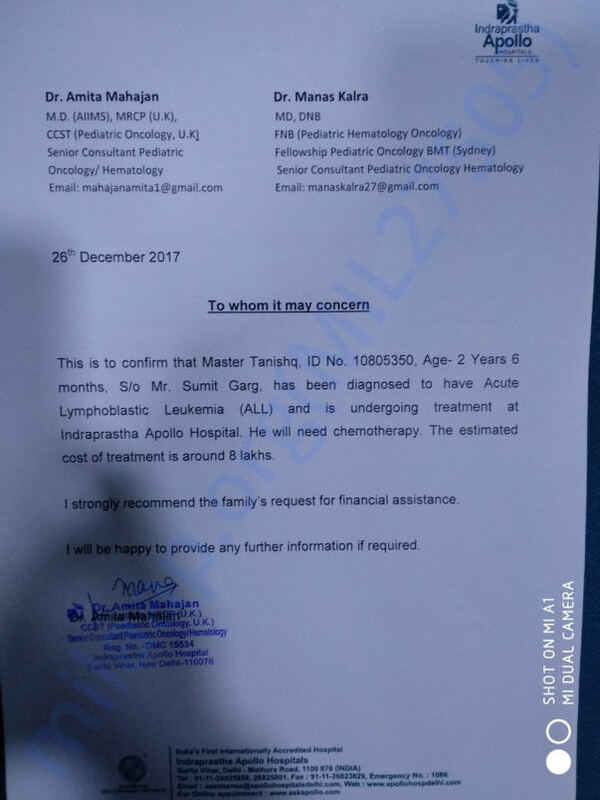 Unfortunately, Sumit does not have the funds to save his son and is worried he will lose his son without this treatment.